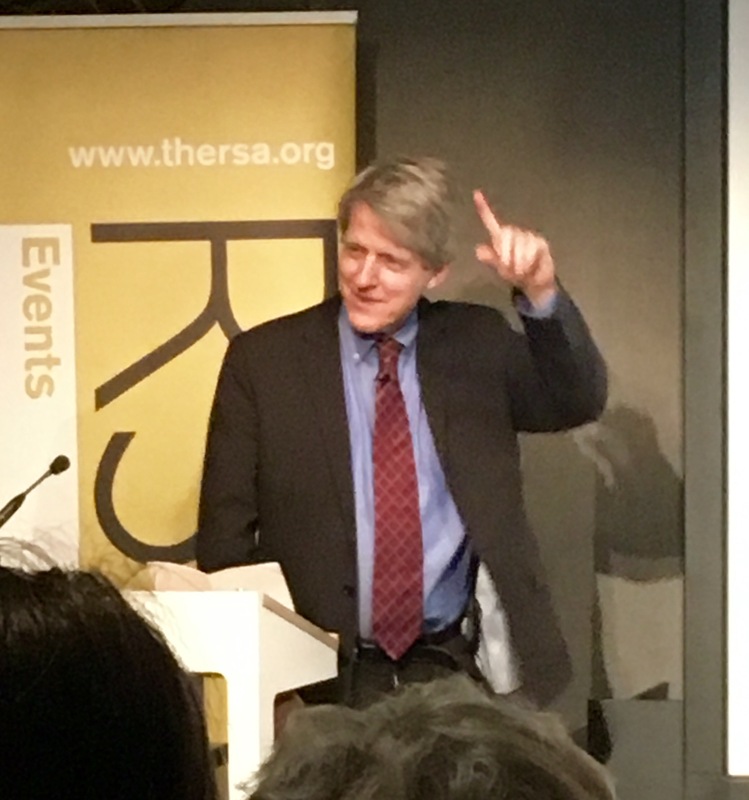 The idea that markets are perfect if left free is profoundly wrong argues Robert Shiller, Nobel Prize winning economist, who was speaking at the RSA today. The concept of the perfection of markets is attributed to Adam Smith, but says Shiller, even he didn’t entirely believe it. In fact in the modern free market economy businesses grow up around human weakness. Markets are built on phishing and we have no idea as individuals how pervasive this is. He gave a couple of examples: cigarettes and slot machines. The Malboro Man grew out of research showing that the rugged cowboy was the character which the target customer most closely identified with – everywhere in the world. So Malboro cigarettes have huge consumer preference despite the evidence from research that all cigarettes taste pretty well the same. Gambling, he points out, is addictive and destructive. And slot machines are among the most addictive especially when you optimise them to take advantage of the weakness. It turns out, he says, that the optimal time between button pushes is 3.5 seconds. If the flow is broken the player may walk away. So now they are designed to do nothing to break the cycle. Shiller argues we need regulations to combat this characteristic of markets to phish. “If we didn’t have regulations we would have slot machines everywhere,” he argues. 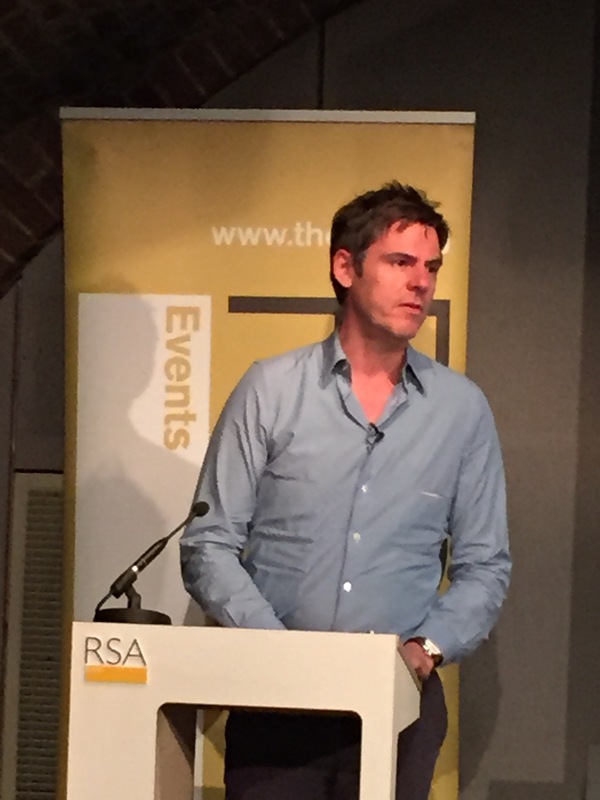 It was doubly ironic that Robert Rowland Smith, a writer and philosopher (an ideas based profession if ever there was one) chose the RSA (an organisation whose central mission is ideas) to urge us all to move beyond ideas at a talk today. He argues that this focus on ideas keeps us removed from reality. 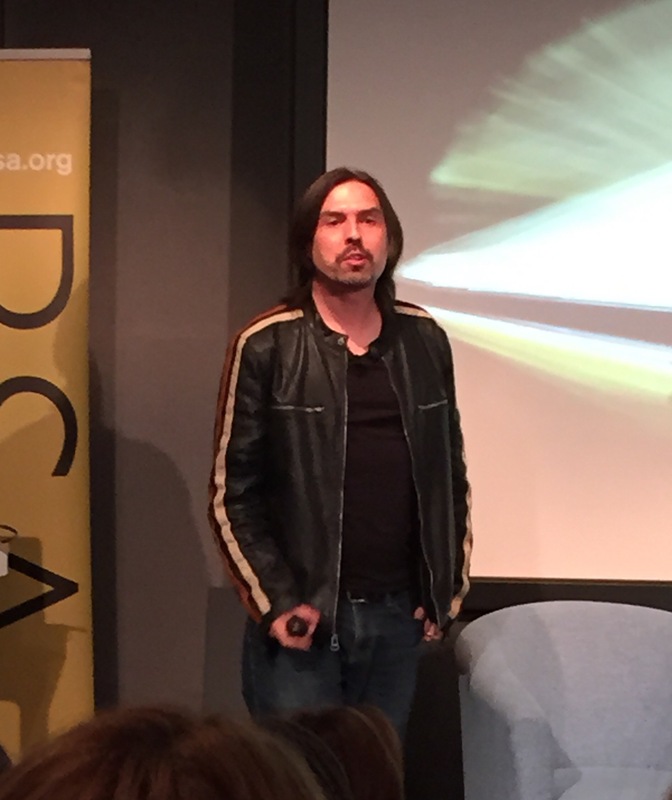 Ideas and reality aren’t connected, he says. They are the “cousins of the lie”. He says there are many ways of seeing the world. The first is what he calls the Google Glasses approach. This is our common approach. Like Google Glass we look at the world through a filter. This is a mediated view designed to help us interpret rather than experience the world directly, what philosophy would call a hermeneutic way of seeing. In contrast his second way of seeing is data driven – a phenomenological way of seeing the world. Using this way of viewing we simply describe the world without trying to interpret. “The effort of seeing is very hard” though, he warns. The final way is what he describes as a Meta way of seeing. This involves moving above yourself and seeing yourself as one of the actors in the scene. This allows us to appreciate our place in the whole as we are spared of the need of interpreting the world. Smith says he is often called on to help artists of all types who are experiencing a creative block. He says they mostly think what they need are fresh ideas. But he says this is wrong. Creativity is solitary and non-ideas based he argues. He has invented a term – “Soulus” – to describe what is solitary and unique about each individual. True creativity comes, not from an idea which is rooted in someone else but from within. It’s in the images from our subconscious which come to us in our dreams, for example. The final idea Smith spoke about was perdition – being lost. “When we are looking for an idea we are looking for navigation,” he says. Getting lost is where we find our most innovative thoughts, he says, when we are being open to what is not formed. “Unless you are truly lost you are not empty enough to come up with unique creative ideas.” There’s that word again! Big Data is as much of a threat to civil liberties as the misuse of genetic information and should be subject to exactly the same kind of ethical debate. 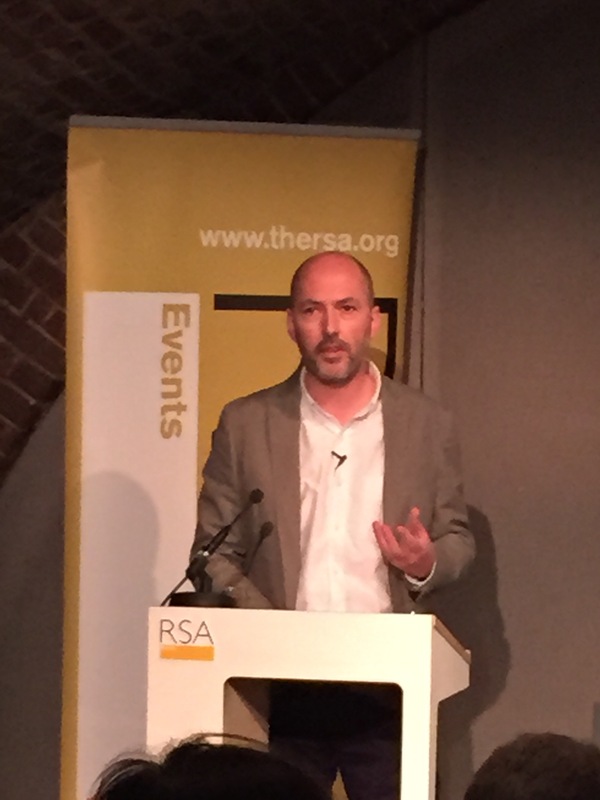 Professor Frank Pasquale, speaking at the RSA today, gave chilling examples of firms insisting employees use tracking (phones, FitBits etc) to track their lifestyles and then correlate the data with work performance. This, he says, is a big threat. Collection. 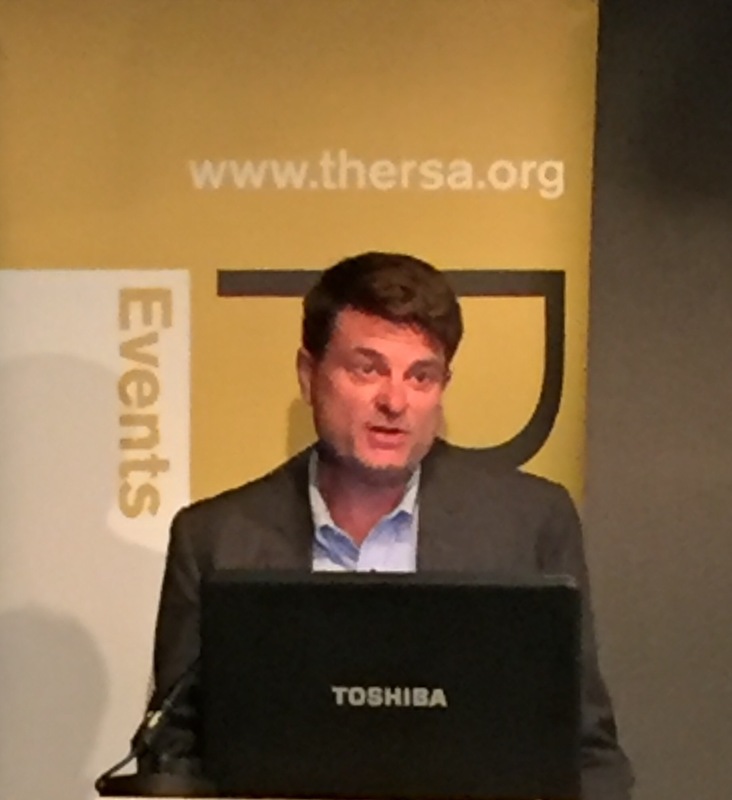 Technologies are adopted because they are slightly better than existing techniques, Pasquale argues, but they are still poor. That leads to frequent errors and If that happens correcting it at source is difficulty. And even if it is corrected at source that doesn’t mean it will be corrected everywhere. This needs to changed, he argues, so there is a robust method for correcting errors everywhere they have been used. That is difficult, he acknowledged, but critical. Uses of data. Credit card companies analysed their data and found something very interesting- people paying for marriage counselling on a card are more likely to subsequently default. This finding can then be used to raise rates or lower credit limits. This he says is very troubling as effectively we are penalising people who seek marriage guidance – a perverse outcome. The answer is to eliminate certain types of sensitive data such as health and sensitive behavioural data. Pasquale pointed out that with the genetic revolution society decided that the issues were so important that we decided we needed serious ethical debate. 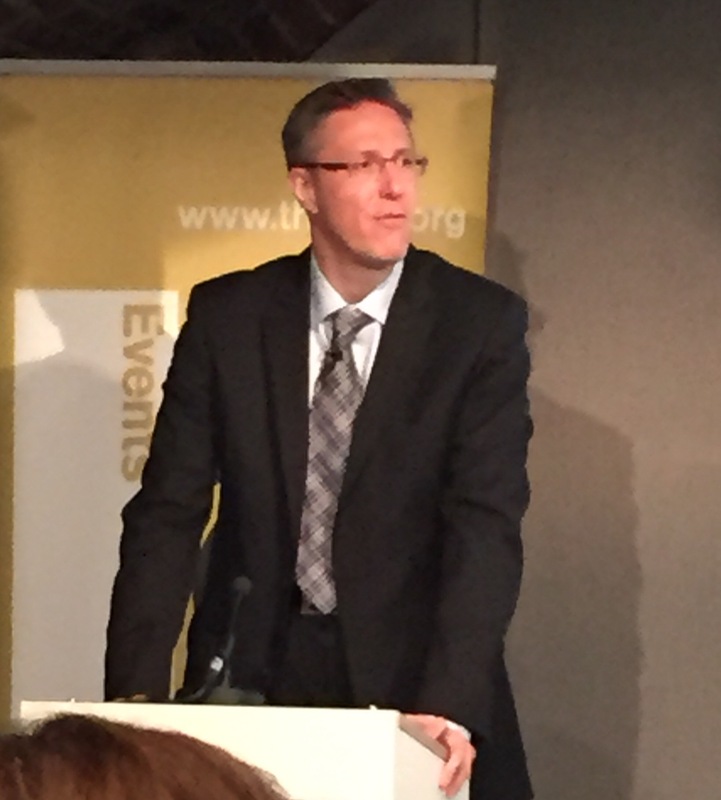 Big Data, he says, is of a similar magnitude as an issue and needs a similar ethical debate. One of the problems in this space is that national jurisdictions vary so much in how they handle the privacy issue. Pasquale says governments use this lack of standardisation sometimes to get around their own country’s rules. The answer, he believes, is more harmonisation of standards globally. There are some very powerful uses that Big Data could be put to which would benefit humankind – improving response to illness, for example, by analysis of large anonymised data sets of medical data. And he points to another positive example in the treatment of returning veterans of the US Army. Veterans traditionally have a much higher suicide rate than the general population. The Durkheim Project aims to monitor the social networks of returning veterans and perform sentiment analysis to compare with patterns detected in the social networks of those who have previously committed suicide. This is done with full consent and is, he says, an excellent example of the positive use of Big Data Analytics. Frank Pasquale is Professor of Law at the University of Maryland and an Affiliate Fellow at Yale Law School’s Information Society Project. 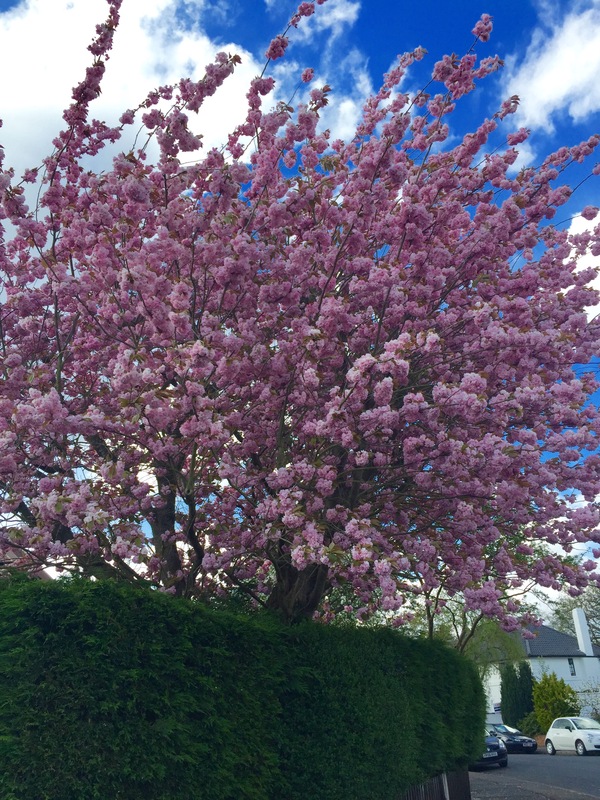 Author jmuttramPosted on June 8, 2015 June 8, 2015 Categories LondonTags philanthropy, RSALeave a comment on Can altruism be more effective? The columnist David Brooks says there are two types of virtues, resume virtues and eulogy virtues – the things that are said about you after you are dead. We spend our lives chasing the first but in the end it’s the second that we most desire, deep down. 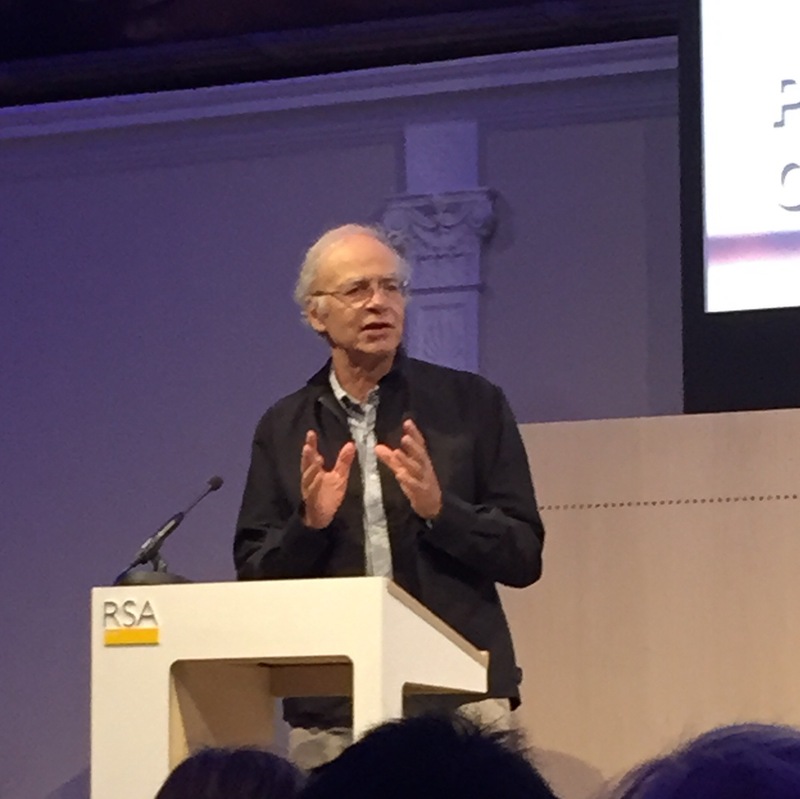 Speaking today at the RSA he talked about the concept of Adam 1 and Adam 2 – the idea coined by Joseph B. Soloveitchik to describe the external and internal lives of people. The result is an increased desire for fame and the loss of the capacity to have sophisticated moral conversations. He says if you use Google Ngrams to analyse the popularity of certain words it is clear economic words are up, moral words are down. So what are activities that Brooks believes lead to moral depth? Second, suffering. “We wouldn’t call someone deep unless they had suffered.” Sometimes people shrivel when they suffer, he says, but it can develop self knowledge, empathy and even transcendence. Third, a capacity for great love. The word “character” has migrated from an Adam 2 world to an Adam 1 world, he says, and it is now something which helps you get on. It needs to be reclaimed. 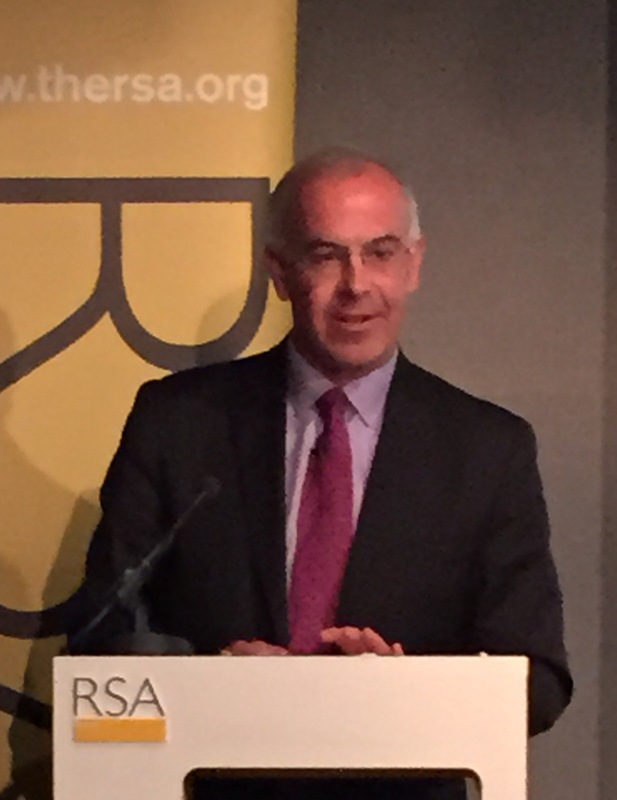 The current obsession with attempting to quantify happiness is having a detrimental effect on society said Will Davis speaking at the RSA today in a talk entitled: how Government and big business sold us wellbeing. 1. The rising importantance of psychological engagement in workforce. 3. The fact that we now live in a society where experiments can be run in everyday life. His belief is that we need to challenge the argument that it is self-evident that happiness can and should be measured. The roots of this trend go back to Jeremy Bentham’s utilitarianism at the end of the 19th Century. Bentham was concerned about the danger of abstract language which he felt could be used to manipulate- terms like the “devine right of Kings” or the “rights of Man”. But Davis believes there are philosophical contradictions with Bentham’s approach. Happiness was being simulataneously being asked to fill two roles; in one the ethical status of happiness is of being good in itself, in the other it is also measurable and empirical. Davis says the concept constantly flips between the two. Mindfulness is a good example. The current trend for mindfulness bolts together the metaphysical and the supposedly empirical and scientific. The risk is that the capacity to explain what we feel is undermined and unhappiness is increasingly seen as being capable of remedy by medial intervention. We therefore end up granting external authorities power over us – such as the The Diagnostic and Statistical Manual of Mental Disorders which defines quite specially things like depression. “Settling ethical questions by resorting to matters of fact is dangerous,” he says, as is locating sources of unhappiness in individual bodies and brains rather than in the world around them (inequality, for instance). 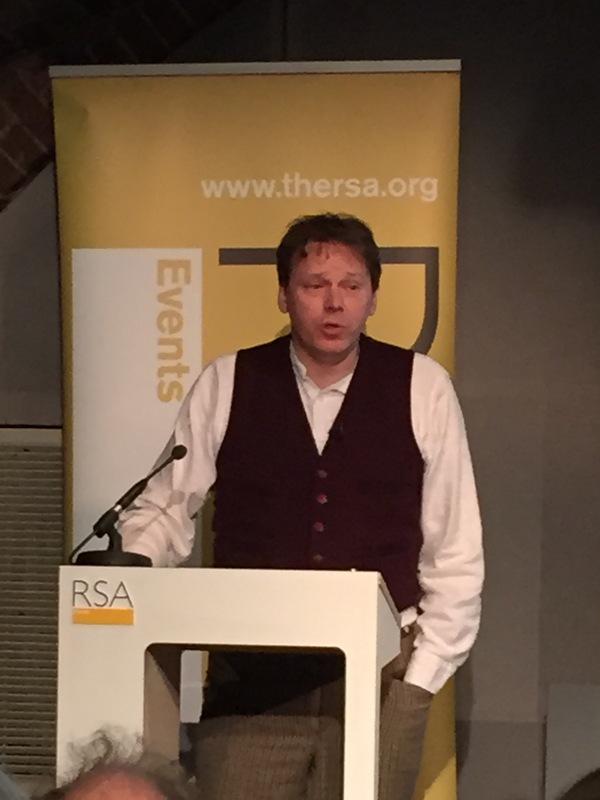 We are now living in an age of total bureaucracy says David Graeber, anthropologist and leading figure in the Occupy movement, speaking at the RSA last week. There is now a web of planetary organisations including global corporations, NGOs, institutions like the IMF and Workd Bank which has merged into a single web-like bureaucracy. Bureaucratic institutions are really about limiting imagination, implying that there is simply no alternative to the global capitalism system. Graeber believes there are three things that need to happen. First, develop true democracy. His time with the Occupy movement taught him just how threatened the global bureaucracy is with groups congregating, discussing and making decision. Very challenged. Changed laws anything to stop free association. Third, start forgiving debt. Debt has achieved a sanctity which puts it above democracy and humanity. He also spoke about what he called the “war on imagination”. Old fashioned bureaucracies were good at creating eccentrics, he said – the Manhattan Project was full of them. “Modern bureaucracies can’t tolerate them” he says, and that’s the reason our rate of invention of genuinely significant innovations has fallen so dramatically and hence why economic growth is so lacklustre.